1866 Indian Head pennies are comparatively scarce, especially in relation to the availability of Indian Head cents from the latter 1870s through 1909. 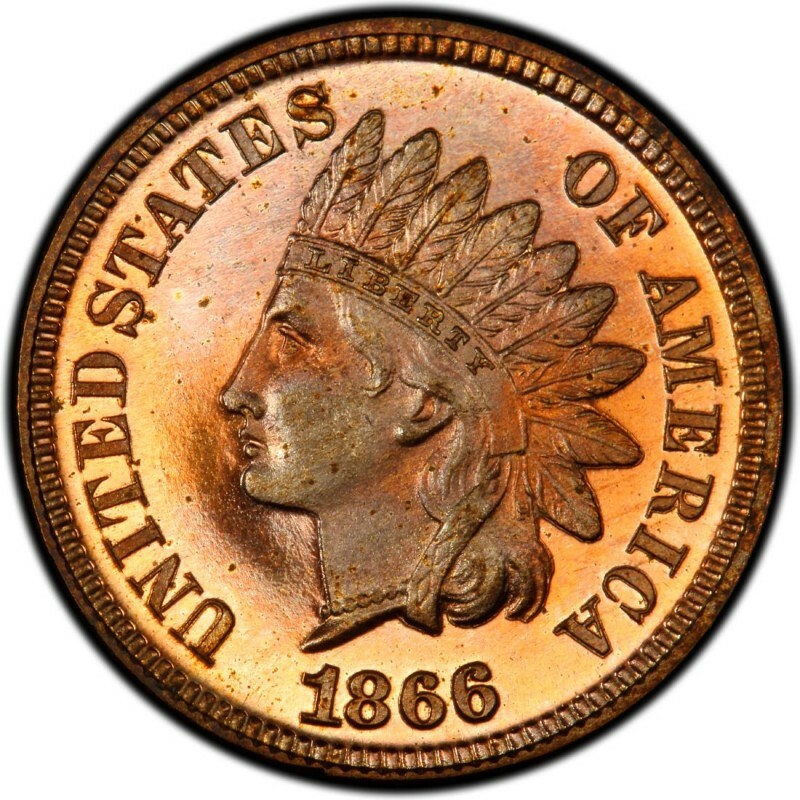 In general, 1866 Indian Head pennies should be bought carefully, as many corroded specimens and those in really poor condition run rampant in the marketplace. Only 9,826,500 Indian Head cents were made that year, which is a very small number of coins. Many of these pieces have long since been damaged, destroyed, or otherwise lost, meaning the pool of 1866 cents available today is much smaller than the mintage number listed here. In a grade of Good-4, an 1866 penny sells for $52. A proof specimen, meanwhile, typically lists at $1,350; 725 of these were produced. 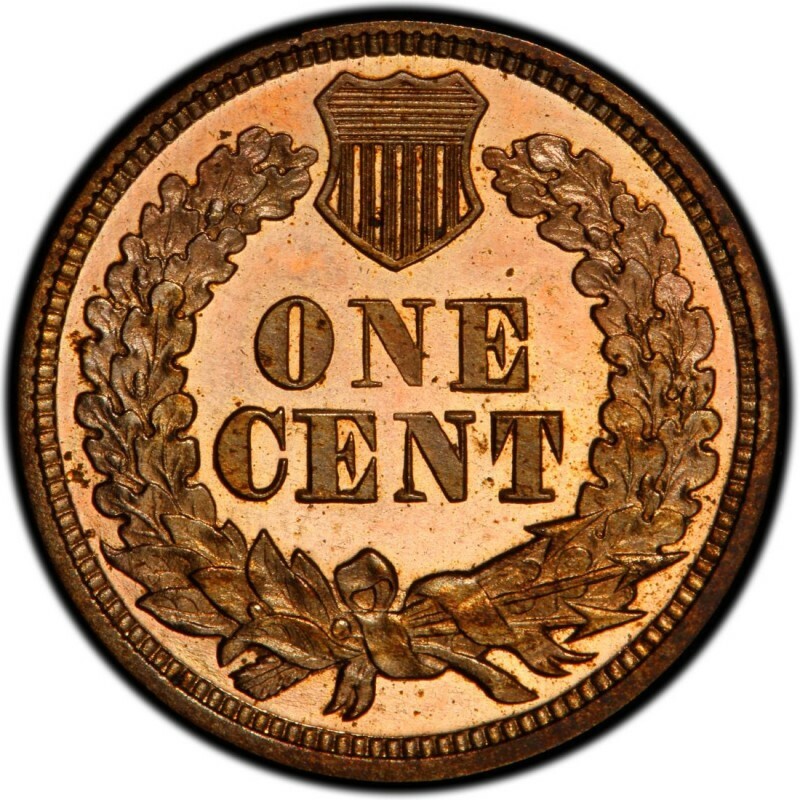 The Indian Head penny was designed by James B. Longacre, who served as Chief Engraver of the United States Mint from 1844 through 1869. He is commonly associated with the two-cent piece he designed, which in 1864 became the first U.S. coin to bear the motto IN GOD WE TRUST. The figure on the 1866 Indian Head penny actually isn’t a Native American at all. It’s actually Longacre’s 12-year-old daughter, Sarah, who donned a traditional native headdress playfully placed upon her head by a tribal chief. Longacre sketched the scene, and this drawing is believed to be the basis for the design. On the coin, Sarah depicts Miss Liberty.